Searching for some inspirational nursing quotes and sayings. If yes, now you don't need to search for them anymore. As here I have compiled down some of the best and inspirational nursing quotes. Just hope you like the quote compilation and able to find some good words to say to your nurse. The character of the nurse is as important as the knowledge she possesses. Save one life, you're a hero. Save 100 lives, you're a nurse. You must never so much think as whether you like it or not, whether it is bearable or not; you must never think of anything except the need, and how to meet it. Whether a person is a male or female, a nurse is a nurse. When you get to experience how it feels like being with mentally ill people, you might stop laughing at them. You treat disease, you win, you loose. You treat a person, I guarantee you, you'll win, no matter what the outcome. 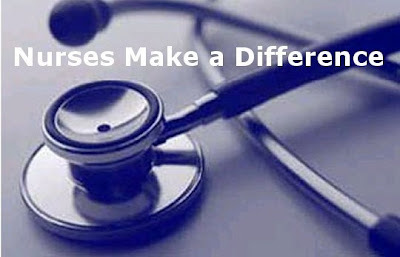 To do what nobody else will do, in a way that nobody else can do, in spite of all we go through; that is to be a nurse. Nurses - one of the few blessings of being ill. The hospital will never be healthy for patients if it's not a healthy environment for nurses, where their voices are heard and where they can care for their patients and use the full extent of their knowledge, abilities, and skills. After all, hospitals today have become one big intensive care unit: all patients need intensive caring. Keep calm and Nurse on. Nursing is not just an art, it has a heart. Nursing is not just a science, but it has a conscience. We'd all be worse without a nurse. When you're nurse, you know that every day you will touch a life or a life will touch yours. You know you're a nurse when...all of your clocks are set to military time.